There is something about camping that is so intriguing. To be able to look up from your bed and have the sky be your view. 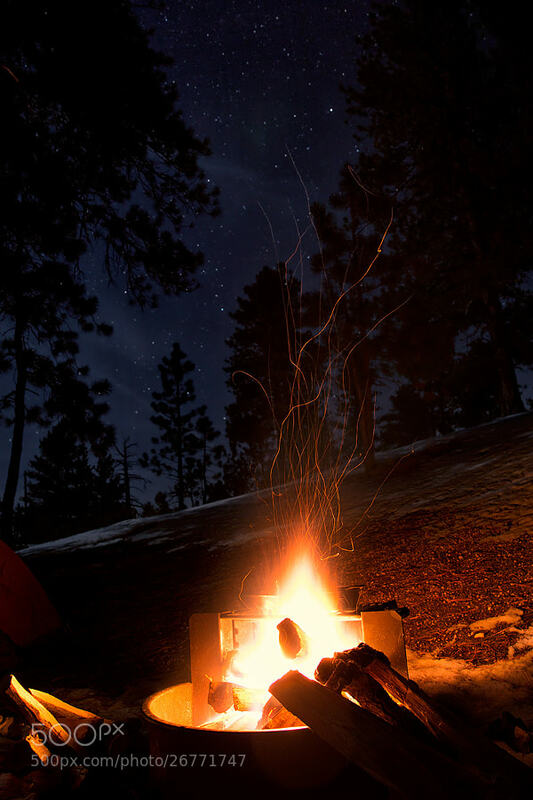 To look up from your warm sleeping bag and catch a glimpse of that shooting star. Or pointing out the man in the moon to someone who’s never bothered to look. That’s what this photo says to me. Camping in Bryce is more that just something fun to do, there are few places that are better. The lack of light pollution from cars, buildings and street lights make for a heavenly scene you just can’t replicate everywhere. Definitely worth the effort it takes to bust out the old sleeping bag and tent. Build a fire among the ancient red towers of Bryce. And wonder about the past inhabitants who maybe stayed in that very same area. Wonder about the first person to set eyes upon this magical place, just think about what he or she was thinking when she saw this amphitheater. That’s what camping in Bryce is all about. There are two campgrounds available to go camping in Bryce Canyon. The North and the Sunset, both of which are located near the visitor center. Both have necessary restrooms with flushing toilets and drinking water. Also during the summer months there is a laundry (coin operated) and showers available at a general store that’s located nearby. Unfortunately there aren’t any hook-ups that are found within the campgrounds for an RV, but there’s a fee use dump station that is available in the North campground. The North Campground has 13 RV sites that can be reserved (make them early). And the remaining 86 tent and RV sites are only available on a first come first-served basis. Alternatively the South Campground has 20 tent spots and a group site that’s available for early reservation. And an additional first come first-served 80 RV and tent sites available. Both campgrounds offer a fantastic setting among the Ponderosa Pine forest and have both sun and shade. They have the amenities to make them not feel like you’re roughing it, but at the same time allow for you to really be camping.